I love rock radio and can’t get a reception on my radio where I live,any chance you could fit this onto the radio player? Many thanks for a great wee plugin!! Glad you’re enjoying the plug-in! Sadly, the “listen live” stream for Rock Radio 96.3 is only available in WMA format at the moment and the plug-in only supports MP3 and AAC: if you can find anywhere it’s available in either of these formats, let us know and we’ll be more than happy to add it for you. 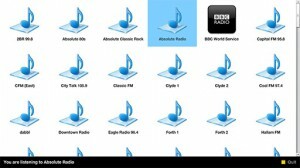 any way of adding http://mediaweb.musicradio.com/player/default.asp?s=17&e=0 ? Unfortunately, it looks like it needs Windows Media Player, which DivX Connected doesn’t support. Thanks for bringing this to our attention, we’ll have a look into it and post an update as soon as possible.